Lake Tahoe, Cabins, Vacation Rentals, Condos, Property Rentals, etc. 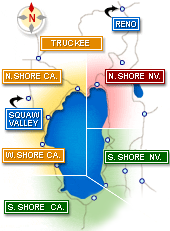 Search Lake Tahoe Cabins and Condos by Region, Type, Guest Rating and Price! Townhomes, Condos, Cabins & Houses in near Carnelian Bay, Tahoe City, Alpine Meadows, Squaw, Homewood and Tahoma! Lake Tahoe Condos are a Great Way to Have a Little Bit of Home Away from Home! Deciding where to stay when you take a trip can often be tedious and difficult, and sometimes hotels don't quite live up to your expectations. For similar rates as a top-rated hotel, you can stay in one of the many Lake Tahoe Condos available as vacation rentals. Enjoy all the comforts of home at these completely furnished and fully-equipped vacation rentals. 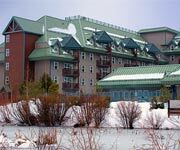 Lake Tahoe Vacation Resort - The Lake Tahoe Vacation Resort from Diamond Resorts fully furnished condominium suites that can comfortably sleep between two and eight people. The studios have all the necessary amenities such as high-speed Internet as well as a television and DVD player. The larger one and two bedroom condos also have fireplaces, balconies and full kitchens where the studios just have kitchenettes. Tahoe Tavern Properties - Built in 1901, the Tahoe Tavern sits on a pristine lakefront property in Tahoe City. Their 85 cozy condos can accommodate four to ten guests and come with kitchens, fireplaces, living rooms, dining rooms and balconies. 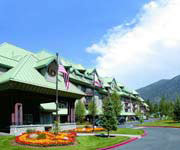 There are a ton of activities at the Tahoe Tavern including tennis courts, walking trails and swimming pools. Enjoy a Cozy Stay in the Cabins at the Camp Richardson Historic Resort and Marina. Everyone Dreams of Cozy Lake Tahoe Cabins on a Cold Winter Night. There is nothing better than cozying up next to a roaring fire in a Lake Tahoe cabin on an icy winter night. 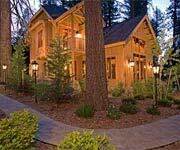 Lake Tahoe Cabins can complete the experience for anyone visiting Lake Tahoe. Whether it's just the two of you, family or a close group of friends, you will find the cabin experience to suit you well. 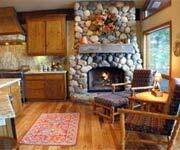 Tahoe Woodside Vacation Rentals - Tahoe Woodside offers three quaint cabins in Kings Beach on the North shore of Lake Tahoe, which offer the full amenities you would have at home. The two-person studio cabin, Tahoe Pinewood, is perfect for a romantic escape to the woods, while the largest two-bedroom cabin, Cedarwood, sleeps up to six people comfortably and is nestled in Kings beach just five miles from Northstar-at-Tahoe. Franciscan Lakeside Lodge Rentals - The Franciscan Lakeside Lodge offers beautiful Lake Tahoe Cabins on the North shore. 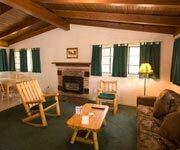 The lodge offers studio, one bedroom and two bedroom cabins either lakefront, lakeside or forest side. These various cabins can accommodate anywhere from two to nine people and come equipped with kitchens, barbecues and fireplaces. During the winter they offer ski packages, which come with discounted lift tickets to help you save a little extra at those pricey resorts. Choose from 7 private Tahoe townhouse-style condos with Private Hot Tubs & Pool Tables! 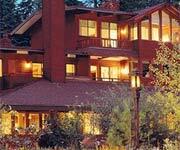 Lake Tahoe Vacation Rentals are a popular lodging choice! 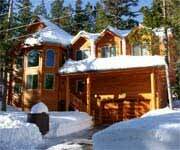 If you are looking for Lake Tahoe rentals, cozy Tahoe cabins and condos, look no further! In this lodging guide you'll find some of the best Lake Tahoe vacation rentals, cabins and condominiums available in the California and Nevada Lake Tahoe area. Our ever expanding coverage of Lake Tahoe includes lakefront, lake view and resort mountain settings in Squaw Valley, Tahoe City, North Lake Tahoe, South Lake Tahoe, Tahoe's West Shore, Truckee, Incline Village & Crystal Bay and more! Once you find your perfect Lake Tahoe vacation rental, your relaxing getaway can begin. 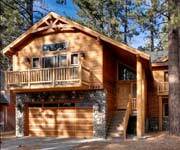 South Lake Tahoe vacation rentals offering condos, cabins, and upscale homes! Feel Like A Celebrity At This Stunning Incline Village Vacation Rental! A Lake Tahoe Vacation Rental Company offering hundreds of vacation rental homes, cabins and condos around Lake Tahoe. Granlibakken Resort and Lodge gives you many choices. 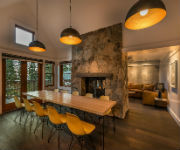 A Lake Tahoe managed Vacation Rental marketplace with 450+ vacation rental cabins, condos and luxury homes in both North and South Shore Lake Tahoe. The Camp Richardson Cabins Lake Tahoe are the Perfect Way to Immerse Yourself in the Tahoe Wilderness. If you can't find the right Lake Tahoe Cabin Rental or Lake Tahoe Condo Rental, you might want to take a look at some of the fabulous Lake Tahoe Hotels and Resorts. You can browse all the top lake tahoe hotels by price, guest rating, location and type until you find the hotel that suits your budget and desires. Make sure you get the most out of your visit to Lake Tahoe by checking out all the best things to do in the Tahoe Basin. Another way to get the most out of your Lake Tahoe vacation is to book your stay with a Tahoe deal or coupon to keep your prices low, so you can afford to keep the activities coming non-stop! Your hotel isn't the only thing that you can save on though! Find deals on all the best things to do in Lake Tahoe so that you can afford to never have a dull moment on your trip! Your Lake Tahoe Rental is our Specialty! Waters of Tahoe Properties takes pride in its hands-on approach and offers family vacation homes in centrally located Tahoe Vista, Kings Beach and Tahoe City. Bring the pooch as most rentals are also Dog Friendly!! Search over 350 properties from all over the Lake! The 3 Peaks Resort & Beach Club features some of the most elegant Lake Tahoe Cabins and Cabin Rentals of any South Lake Tahoe Hotel. Carnelian Bay Rentals offers lovely townhouses from Economy to Luxury (that fit from 2 to 12 people) at Carnelian Woods on the North Shore. Townhouses come fully furnished, including fully equipped laundry and kitchens. 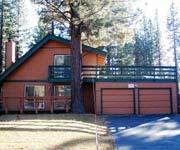 Accommodation Tahoe - Choose from 8 private Lake Tahoe townhouse-style condos nestled among the towering scented pines in Lake Village at Stateline Nevada, minutes from Heavenly and 3/4 mile from the California border on Lake Tahoe’s South Shore!! Historic Camp Richardson Resort located along Lake Tahoe's longest stretch of sandy beaches, Camp Richardson features year round lakeside cabins surrounded by tall pines with incredible lake views! Studios, 1 & 2 bedroom units available. Gas fireplace, basic kitchens, linens and towels provided. Wireless available. Restaurants and recreation options on site! Book one of these cozy Lake Tahoe cabins today! Chinquapin offers fantastic lodging rates when booking your luxurious vacation rental with Packard Realty in North Lake Tahoe! Lake Tahoe Dog Friendly Vacation Rentals! Bring your well behaved pooch to Lake Tahoe!